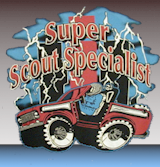 Super Scout Specialists, Inc. - 1 B HOT Spring/Summer Product Needs! »1 B HOT Spring/Summer Product Needs! Now In: 1 B HOT Spring/Summer Product Needs! WARM & QUICK Spring/Summer PRODUCT NEEDS! The last thing any driver needs is to break down in cold, harsh winter weather. A vehicle check now before winter arrives is a sensible way to be vehicle care aware and avoid the inconvenience of being stranded out in the cold and with the unexpected expense of emergency repairs, says the sSs. Check thetire tread depth and tire pressure. If snow and ice are a problem in your area, consider special tires designed to grip slick roads. During winter, tire pressure should be checked weekly. We Sincerely Thank You for Your Past and Future Business! 2019 NEW! Get ready for the Best Scout Truck sSs Calendar ever made!! Size: Full & Full Color!! ORDER YOURS TODAY! LIMITED AVAILIBILITY! IN STOCK! When ordering just a calendar and no parts or other merchandise: please allow and Add $2.00 for S&H (US Orders only) International orders will be billed the full shipping cost. 2016 NEW! Get ready for another of the Best Scout n Truck sSs Calendars ever made!! ORDER YOURS TODAY! LIMITED AVAILIBILITY! Description: Heater Tempature Control Cable, Scout II, cable goes from the dash heater control to the heater valve under the hood. Easy to Clean - Washable - Not meant for heavy foot traffic use, logo embroidery may wear. Marker Light Assembly,All Scout II, Traveler, Terra,'71-'80 and Pickup/Travelall '70-'75. Description: Marker Light Lens & Housing Gaskets, Late Scout II. IH Mud Flaps (Large) PAIR - 30"X24"
IH Mud Flaps (small) PAIR - 20"X11"
Scout Mud Flaps (small) BLACK- PAIR - 20"X11"
NOTE : MUD FLAPS MAY HAVE MINOR FACTORY IMPERFECTIONS. Parking Light/Turn Signal Lens, Fits Scout 80 - '61-'66.